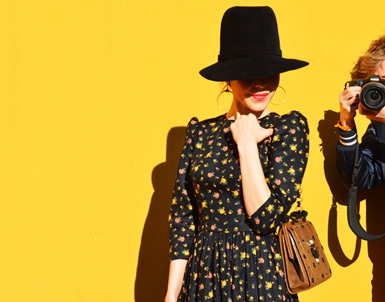 Photoblogger Tommy Ton shares his amazing photos with Style.com, where he captured the street style of those who have attended the 2012 Fall fashion shows. I'm loving all of the vibrant colors emerging in fashion and home decor! 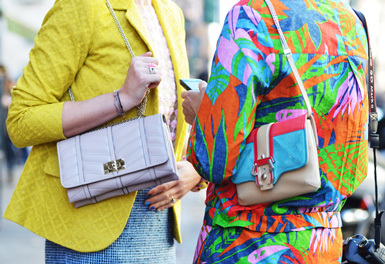 It's so much fun to see how people mix and match color and pattern in their wardrobes. There's a ton of color and style inspiration in each of these photos - my head is spinning with new design scheme ideas for future projects :). Click here to view the entire gallery. I'll be headed to a baby shower tomorrow too, of course it's not my own, that's much more exciting! These are brilliant. This is how I like to dress. Wish I had more brightly coloured things! 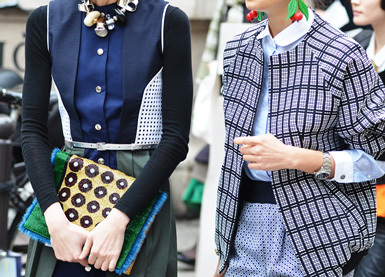 Great pics, I loved all the layering of accessories. Okay , let me do a room around those fantastic orange and white plaid sling backs!! The colors are amazing you posted great pics.. love! aww my girl crush. Ulyana..always dressed to impress! p.s. been reading your blog for a long time, commenting for the first time. Love your aesthetic!